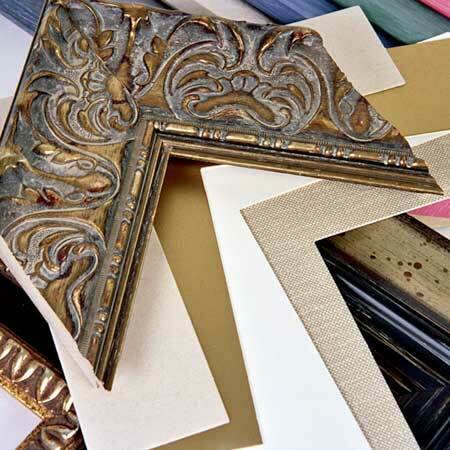 Gallery 2 stock hundreds of different frame styles in wood and metal to complement your painting or print and to suit with the room that the image will be hung in. For prints and water-coloured paintings glass can be used to further protect the image against UV light and accidental damage. Glass is rarely used on oil paintings. We can offer either plain glass, or anti-reflective glass or plexi-glass. Plexi-glas is tough, however the static charge which can build up can attract lose particles from charcoal or pastel works and in these cases glass is preferred. The glass is always raised above the surface of the artwork, creating a space to allow condensation to evaporate without damaging the image. Gallery 2 can also frame football tops, medals, boxing gloves - in fact absolutely anything that you would like to display. Please do not hesitate to contact us with your specific requirement.